Ballroom, Latin, Dance, Ithaca, Latin, Ballroom, Swing, Lindy Hop, Hip Hop, Dance Class, Classes, Ithaca, Social, Compeititive, Dance, Ithaca, Dance, Performance, Ballet, Modern, Lyrical, Dance, Ithaca. Under the mastership of Roger M. Christian dance classes are fun, while you find out at the sametime you can learn to be an excellent dancer. The difference in becoming a good dancer is almost totally up to the dance master abilities to teach. Thus, Tri Falcon and Dove is client centered. That means you get the most any where in Central New York here in Ithaca. 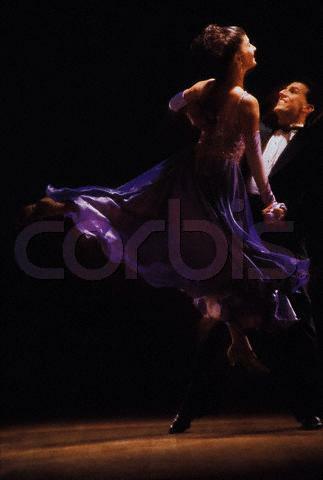 Latin dance at it greatest: Ballroom at it's most romantic of lovely sites, lights and gowns. Jitterbug to Lindy Hop with lip smacking chewing gum and pony tails culture of youth-harken to days of the 30's, 40s, and 50s. Plus everything you could ever want in social based dance classes, easy basics to performance and competitive levels. And now Hot Hip Hop Action in Ithaca, New York. Dance is fun to do. Moreover, it opens an entire new world to everyone who uses it as a social means to get around. Yet, it is the easy access it gives to other people who you will not normally meet or get to know. Thus you run into a school teacher, then turn aound and you will strike up a conversation with a farmer and his wife, and at the same event when you dance, you are being admired when you dance with your wife from couple who just came in from Moscow. All at the same social dance. At Historic State Theatre April 29 & 30th. and Modern to Lyrical Dance.
" Gacias por e party de compleanos para mi esponso. " Register your events on to IthacaEvents.Com-I did. Tropical DJs: Latin Mobile Dj in Orlanda Florida, Corporate and Private Parties, salsa, salsa dance - bailer cha cha cha. RentalBoatCharters.com – online fishing directory : All fishing charters. Search over 15.000 fishing guides, rental boats in the United States, FL, NY, MD, NC, Canada, Caribbean and all around the World. Book direct with captains. Tri Falcon and Dove Dance Academy. Social Dance Registry and Ithaca Social Dance Calendar . Ithaca Socials and Social Dance Ithaca . 16.000 wedding photographers on ListPhotographers.com : Description: 16.000 photographers in the US, UK, Germany, Canada and rest of the World. Find a professional wedding, portrait or commercial photographer. Click here and learn how. I did. BRINT Ballroom, Latin - Salsa, Swing to :Lindy Hop. Hip Hop, and Modern Dance Instructors in New York and the United States [ WebSite ].